Summary: Severus has a surprise visitor the first time he goes to the headmaster's office following Dumbledore's death. How many times had he made this trek? Thousands, surely. Never when the castle was empty before, though. And it hadn't been his office, always Dumbledore's. Would the portrait be awake? He'd been told that Dippet's had taken months to properly come to. He needed Dumbledore, though. 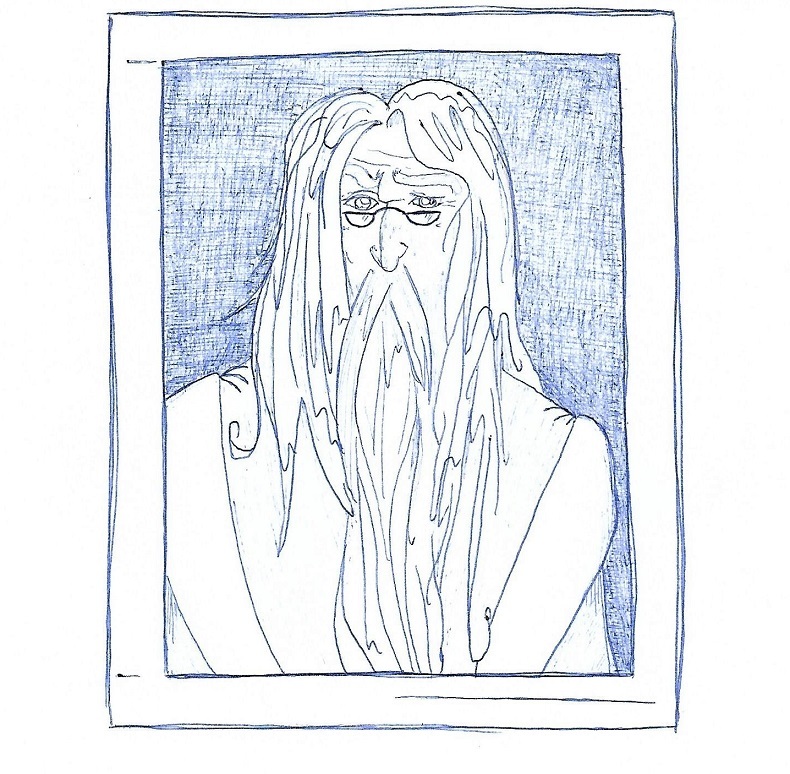 There were too many variables that he didn't know about for Dumbledore to be out of commission. The gargoyle guarding the entrance stepped aside, turning its head and raising horned eyebrows. "Dumbledore," he croaked. He'd intended to say, 'Dumbledore didn't tell me what you need me to do,' but the gargoyle nodded. He'd just set a password. The office looked like it had been ransacked, and likely it had. McGonagall would've gone through it without a doubt. Perhaps the Ministry? The desk, usually a mess of papers and books, was clear but for an errant quill on the blotter. Dumbledore's portrait was in place, but it wasn't moving yet. He'd been painted in the austere tradition of all headmasters, a monochrome backdrop and a simple frame. It didn't suit him. He looked like every other portrait in the room, and it was wrong. Somebody cleared their throat from next to the door. He turned, expecting to see a portrait spokesperson. Instead, there was a witch. Average height, slender, curly hair. There was a Time Turner on the chain around her neck, which was odd since all the Ministry's Time Turners had been destroyed the night Black died. "Are you alright?" the witch asked. Her voice was familiar, and he looked at her more closely. She was probably around his age, though he couldn't be sure. Her eyes were hazel, snapping with intelligence. Her hair was a rich chestnutty brown, glistening with honey tones in the afternoon light from the window. She wore dragonhide boots, Muggle jeans, red waistcoat, dark frock coat. "You can put your wand down; I mean you no harm." He hadn't realized he'd drawn on her. That didn't mean he was going to put his wand away, though. "Who are you?" he asked, rotating his wrist so that his wand point was level with her nose. "They were all destroyed," he said. "I had time to rebuild them, fit one out to my needs." "Why?" That was important. There was something niggling at the back of his mind, some half-formed thought that he felt might give insight into her reason for going through all that work to be here and now… but then it was gone. "Because you need me," she said. "I don't," he snapped back. "I'd know better than you, I think." She was most certainly amused, and it annoyed him even further. He wanted to press his wand tip to her nose, to her neck. Anywhere. He wanted her to be nervous and wrong-footed. "Why?" He shoved the wand up his sleeve and crossed his arms, glaring down his nose at her. He made a deliberate show of noting the signs of impending age on her face—they were all slight, only hints of what was to come, but they were there—then said, "I would've been dead for decades." "Not if you let me help you now." She glared at him. He'd had one full summer of that glare, her not daring to talk back to him but making it perfectly clear that she didn't approve of whatever he'd just done or said. "You don't deserve it. You worked too hard to miss out on life after." "We succeed, then?" he choked out. "All the more reason for you to pack yourself off to the States, to Australia, to Thailand—let things play out." It hurt to say it, but it had to be said. If they did the impossible and succeeded in ending Tom Marvolo Riddle, it was of the utmost importance that nothing changed. "I intend to let things play out. Not from afar, though. I'll sit right here, and I'll watch, and I won't interfere," she said. He sneered and opened his mouth to tell her off, but she held up a hand and continued to speak: "It's not going to be easy, and it's not going to be fun. I'm going to do it, though, and when it's done, I will do what I came to do." "Maybe I want to die," he said. "Maybe I don't mind. Maybe that's how it was always intended to be." "Maybe. But if that were true, it wouldn't be in your pocket." His hand betrayed him, his fingers flying to the little vial in the pocket of his frock coat beneath his robes. There was a memory inside. His memory. It was a mystery to him, obviously. He'd removed it almost a year ago to the day. "Even though you don't remember, you remember that you forgot," she said. "You sound like the Cheshire Cat." "I don't mean to. I just mean what I say—you know something important happened, and you know you couldn't keep it in your head." "You know what's in the memory," he said. "I had the same memory, the same vial in my pocket." "You put it back in your mind." And then she decided to spend a lifetime to find a way to Turn back enough time so that she could hypothetically save his life? "I did. The night Ron Weasley proposed to me." That didn't surprise him. What did surprise him was the way his throat tightened at the idea that the witch in front of him was a Mrs. Weasley. She wasn't wearing a wedding band, though. "It's rather parallel, I think," she said. She stepped into his personal space. He remained frozen, a strange sense of déjà vu itching across his skin as she removed the vial from his pocket. "You lost your best friend who could've been more if the situation had been different. You mourned her. You found a way to make it right. Now I've done the same thing." She tapped the top of the vial with the tip of her wand and the wax seal vanished. The cork flew out with a pop, and then the memory followed her wand tip up into the air next to his face. He nodded when he realized she was waiting for his permission to put the memory back. It was disconcerting. Removed memories generally belonged to other people and were viewed in a Pensieve. When one removed a memory, it dulled in one's mind for a moment before returning to the way it had been unless one was Obliviated following the removal of the memory, which he must have been because the memory, while undoubtedly his, was unfamiliar. At first, it was a collection of emotions tied in with existing memories. Admiration quickly followed by guilt. Lust followed by disgust. There were snippets, moments alone, a touch that shouldn't have happened or shouldn't have felt the way it did. And then one longer scene, the bulk of that silver strand of memory. The two of them in his office, having a very strange discussion about what was happening. Their decision to remove the memories, put them aside, and Obliviate themselves. Severus blinked at her. He'd gone through the past year wondering if it was even worth it anymore. 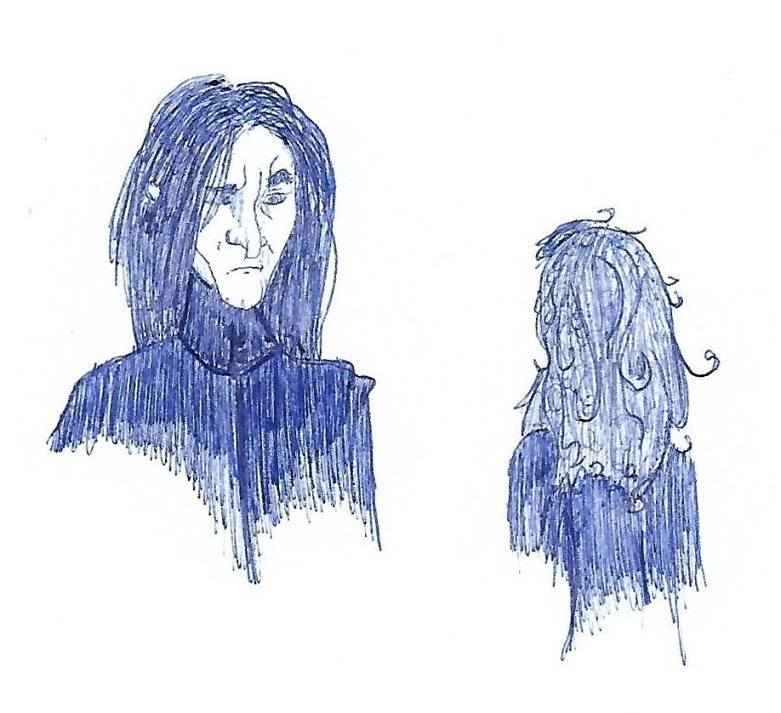 Lily's memory didn't seem to matter the way it once had, and Potter's brat was as obnoxious as ever. Hermione Granger had replaced her. He hadn't remembered it, but he'd felt it. "This is the part where you tell me that it was all very wrong, and you feel guilty or something," she said. The nervous strain on her face belied the flippant tone. He noted that she'd aged well, filling out in all the right places. She was still innocently pretty, though there was darkness in her eyes that spoke volumes. Her hair wasn't quite so wild, and it was a little bit disappointing. "I'd like to skip that part," she told him. "I spent almost twenty years trying to figure out a way to get back to this moment so that we could have a chance. Or, really, so that you could have a chance. I'll be okay if you decide you like your memory of her better than me. I've passed on relationships for the same reason." He could hardly hear her over his own heartbeat thundering in his ears. She'd grown into a damn fine woman. Her teenaged self had been a strange thing—this wicked brilliant mind in a girl's body; it had made him very uncomfortable. This was… Well, she seemed almost as damaged as he felt most days, and that was actually a point in her favor. Shakily, he held a hand out to her. Her hands flew up and gripped his fingers too tightly. Her gaze didn't waver from his face, but he was certain that she was preparing herself to be let down. She was holding onto his fingers because she thought she'd never get to do it again. He reached his other hand up and covered her hands with his—she still had such small hands—and drew her close. "Tell me, Miss Granger," he said, smirking at her, "did you find our chance? How are you going to change what was intended to be?"